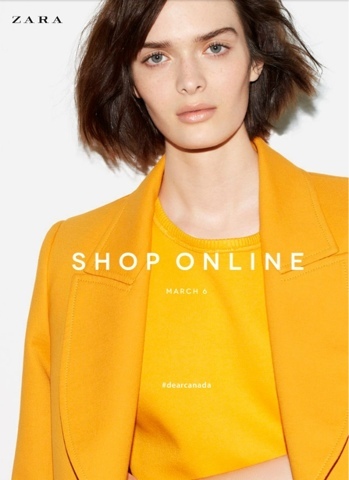 It's Finally Here: Online shopping on Zara.com comes to Canada! Finally!!!! The one word I utter everytime I see the photo. Zara is known for the having the ultimate collection at great prices, but their stock in store is so selective, I'm left usually calling every location for that one great piece. Finally, us Canadians can order online as of March 6th! Happy Shopping! !